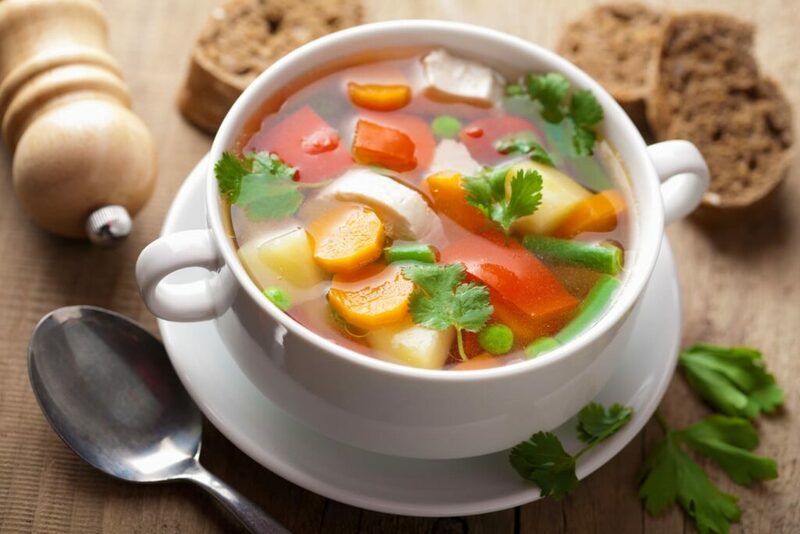 As the cold weather approaches, it’s smart to stock your fridge with the ingredients for chicken soup and to keep your medicine cabinet full of the medicines you’ll need. Here’s how to prepare for cold and flu season. Every year, as the weather gets colder, cold and flu viruses creep into our homes and make us miserable. It seems like we get sick easier when we are all crammed indoors together for longer periods of time. So how do you prepare your home for cold and flu season? I’m going to share my tried and true tips with you. All of these tips help my family get through cold and flu season without much trouble or losing much time. Because let’s be honest, we don’t have time to let a cold or flu get us down. Both the common cold and the flu are caused by viruses. But what’s the difference between a cold and the flu? And how do you know if you have a cold or the flu? I am not a doctor, for medical advice ask a physician. But I will tell you what I learned from some research I did. In general, flu is worse than the common cold, and symptoms are more common and intense. Colds are usually milder than flu. People with colds are more likely to have a runny or stuffy nose. Colds generally do not result in serious health problems, such as pneumonia, bacterial infections, or hospitalizations. Flu can have very serious associated complications. If you are suffering terrible symptoms and are finding it difficult to breathe, seek medical help as soon as you can. Cold and flu symptoms typically last about a week. Symptoms of cold and flu are normally a stuffy nose, sneezing, and cough. They are pretty awful, and when I get them, I don’t feel like going anywhere, especially to the store. That is why I try to keep my house stocked with my cold and flu season essentials. I want to have all I need in my home so I don’t have to leave. The first things I always keep on hand are the ingredients to make my homemade chicken soup. Fresh ingredients don’t save well in the fridge, so I make the chicken soup broth ahead of time and freeze it in ice cube trays. I also keep pre-cooked chicken in the freezer too. Then, when I need some from-scratch chicken soup, you just put the broth and chicken on the stove. Add in some cooked noodles and some frozen vegetables and you can quickly heat up chicken soup to help you and your family members to feel better. Next, I go through my medicine cabinet and make sure I have all the essentials I’ll need for cold and flu season. Sinex from Walmart is a lifesaver! I think the worst thing about colds is not being able to breathe through my nose. All that congestion can be debilitating. But Sinex works for me. It clears everything up so I can breathe with a clear head. 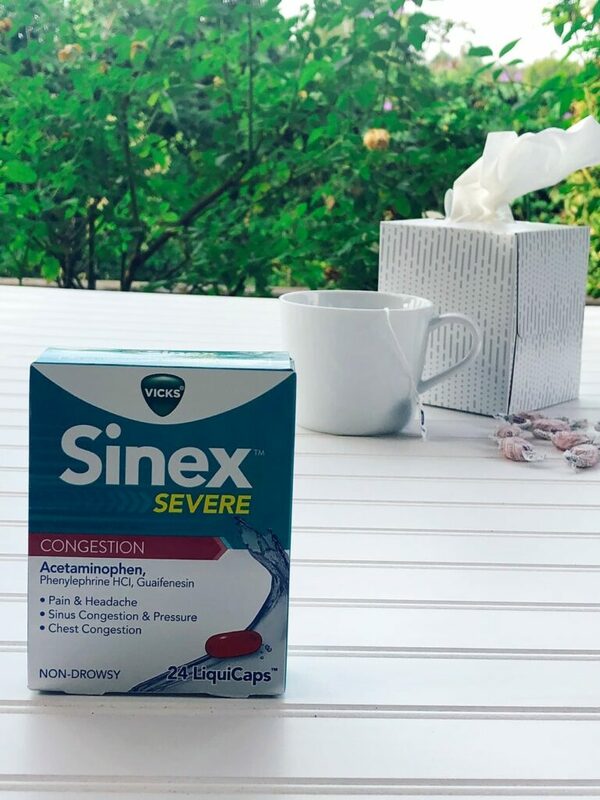 Since I’m such a huge fan of Sinex, I always keep it in my medicine cabinet. 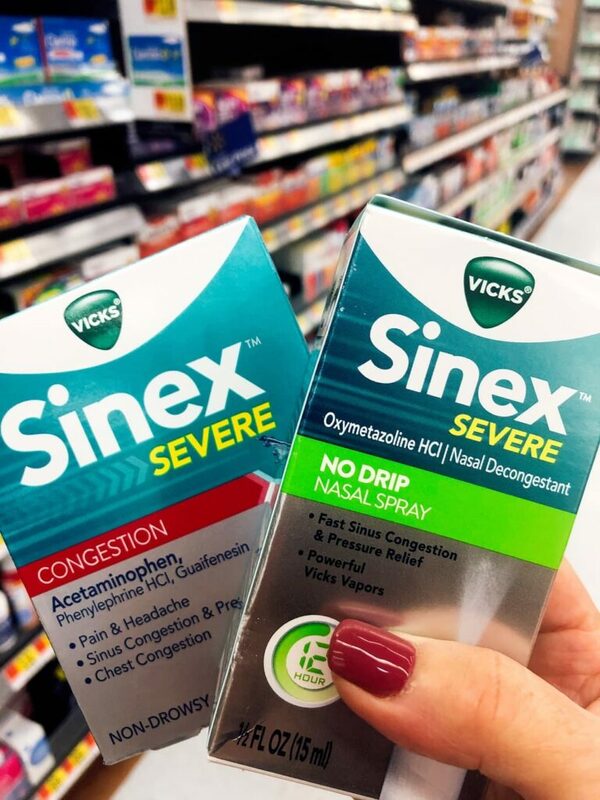 Now is the time to stock up on Sinex from Walmart. This is how I prepare for cold and flu season. If you stock up ahead of time, you will be glad that you did if cold and flu season arrives at your house.